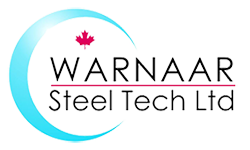 Warnaar Steel-Tech’s employees are its greatest assets. Therefore, we take great care in making sure that every new member of our structural steel fabrication team is a great fit. We do this by training new employees in proper work and safety procedures; which are to be adhered to at all times. Positions will be listed as they become available.